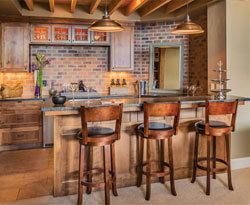 The bar is a crucial element to pulling off home entertaining and can make your house the coolest one on the lake. 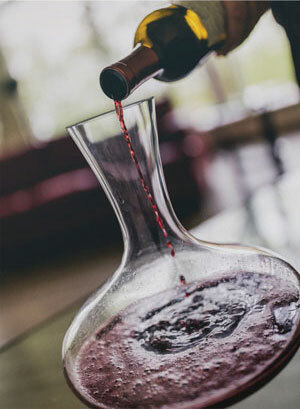 Whether you are having a big bash with your entire posse or a quiet evening at home sipping a cocktail with your spouse, the home bar can transform the way you entertain. From a simple bar cart topped with the essentials to a freestanding bar with all the trappings, there are plenty of ways to create a watering hole within your own home. If you are looking to create a full-on cocktail lounge or pub in your home, you’ll need to install a wet bar or free-standing bar. In advance, determine where you have space and do a majority of your entertaining. 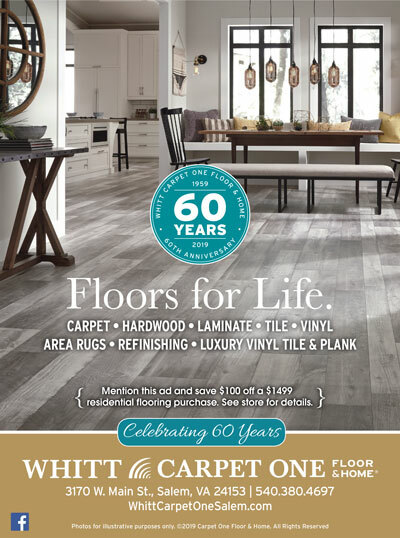 Do friends and family hang out in the family room on most weekends to watch the game? Or do you have a sprawling basement that can be transformed into an entertainment hub with a saloon? 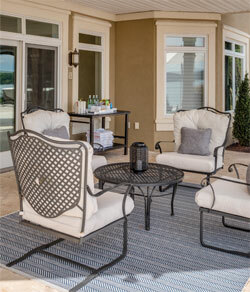 If you like to entertain outdoors, will the bar be conveniently located near a deck or terrace? Before you start ordering materials and hiring workers to build your bar, if you are looking to include a sink or ice maker in your setup make sure that you have the appropriate plumbing in place. With infrastructure in mind, install your bar on a wall where pipes already exist, near the kitchen or a bathroom. If you are having your bar designed by a kitchen designer or interior decorator, consider including restaurant-grade equipment, beer and wine taps, and other high-end equipment like ice machines and specialty beverage refrigerators with dual zones for chilling brewskis and wine. Also, consider the style and design of your bar. If you want to sip piña coladas and feel like you’re vacationing on a tropical island, create a vintage tiki bar. For the beer-drinking soccer fan, naturally you’ll gravitate towards the style and atmosphere of an Old English pub. If you are handy and looking to DIY the job, you can easily install a bar with pre-fabricated cabinets from the hardware store and then top it off with a stone slab sourced from a rock yard. Wine coolers or mini-fridges can be popped right into place with no trouble, as they are designed to fit pre-fab cabinetry. Install shelving with brackets and wood slabs on the wall behind the bar as a place to show off pretty glassware and fancy alcohols. And no need to worry about tiling and grout for a bar backsplash; instead select a mirror or textured wallpaper as a backdrop. 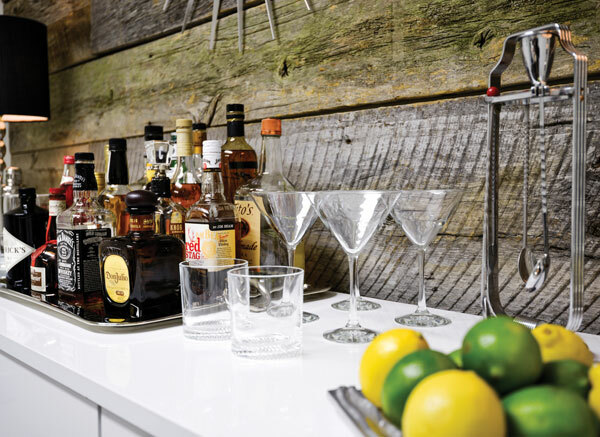 If you don’t have the space or don’t want to commit the time and money to installing a permanent bar, the bar cart is your best bet to create an at-home watering hole. Bar carts and cabinets have long been a mainstay in the home, usually tucked away in a cozy den or dining room, where homeowners tend to do most of their entertaining and beverage sipping. They’re also a handy choice for a covered patio or dock. You can easily repurpose furnishings into a bar setup. 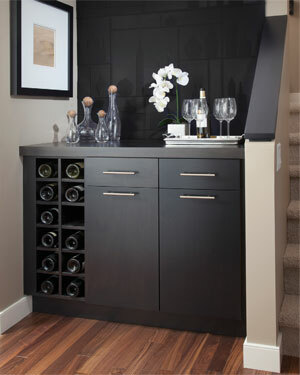 Carve out room in a built-in bookcase for a tray topped with alcohol decanters, a cocktail shaker, ice buckets and other beverage making tools. An old armoire that was once home to a television or clothing can be transformed into a place to tuck all your hooch away behind closed doors. Or consider other furnishings for your liquor setup, like a narrow console table, midcentury modern record cabinet, or antique secretary’s desk. If you are handy, strip down the furniture and refinish it for an updated look.